Gigi Dall'Igna is satisfied with the performance of the new aerodynamics in the Sepang tests, although he points out that the chassis has yet to be perfected. Ducati, Ducati and more Ducati. This could be the summary of the Sepang test that the MotoGP teams completed last week on the Malaysian track. Because Danilo Petrucci, Francesco Bagnaia, Jack Miller and Andrea Dovizioso recorded the four best times in the Malaysian track, leading in several tenths to Maverick Viñales or Marc Márquez. 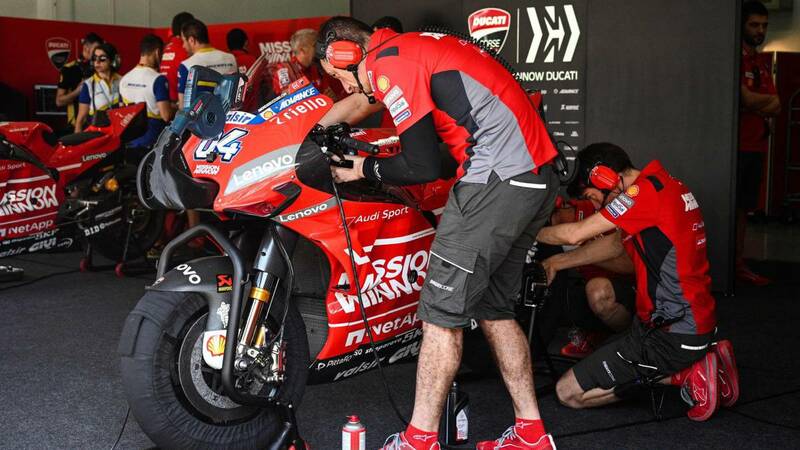 An excellent result for the factory of Borgo Panigale that however, has not stopped completely satisfied to Gigi Dall'Igna. The Italian head of the Italian team recognizes that the new aerodynamics has worked correctly, as well as admits that they must work to get the most out of the chassis. "I have more confidence in the new aerodynamics because I expected something more from the new chassis. I would like analyze the data well, do something different from what we did in Malaysia to find a better solution, aerodynamics is not only important for the load or speed, but also because it determines the conditions in which many components work on the motorcycle. happy with the performance we have achieved, but we were not here to achieve good results, but to test the new material and develop the bike.There have been some positive but also negative things to be analyzed, around which we must reason to try to improve "says Dall'Igna. In the same way, the Italian engineer ano points out in 'GPOne' that the 2019 MotoGP World Championship will be an intense battle against Yamaha, Honda and Suzuki: "We can not evaluate Honda because Lorenzo was not there and both Crutchlow and Márquez were not in their best conditions. But I saw some interesting ideas and surely start as one of the favorites. Both Yamaha and Suzuki also seem to be on the right track. We will continue to promote the development of the bike and I hope to have something new for the Qatar tests. I am happy with the team's work, but we need something more ".